Not long ago, a high-ranking friend of mine in the military gave me an experience few will ever see. After filling out reams of paperwork and going through an extensive background investigation, I was given permission to tour to a top secret nuclear missile launch site in eastern South Dakota. Ok. Ok. Not really. The true “paperwork” involved was waiting in line at a desk to get a ticket to a tour of Minute Missile National Historic Site and museum, a national landmark — and extremely unique experience — now operated by the National Park Service. 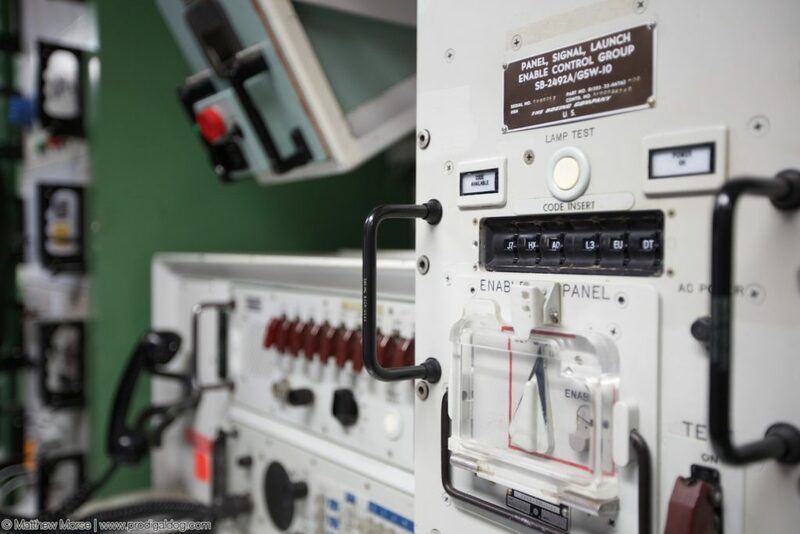 A dream-come-true for any Cold War history buff (or — really — anyone fascinated by large expensive things that go “boom”), Minuteman Missile National Historic Site allows you to tour the above and below ground facilities of a real nuclear missile site. 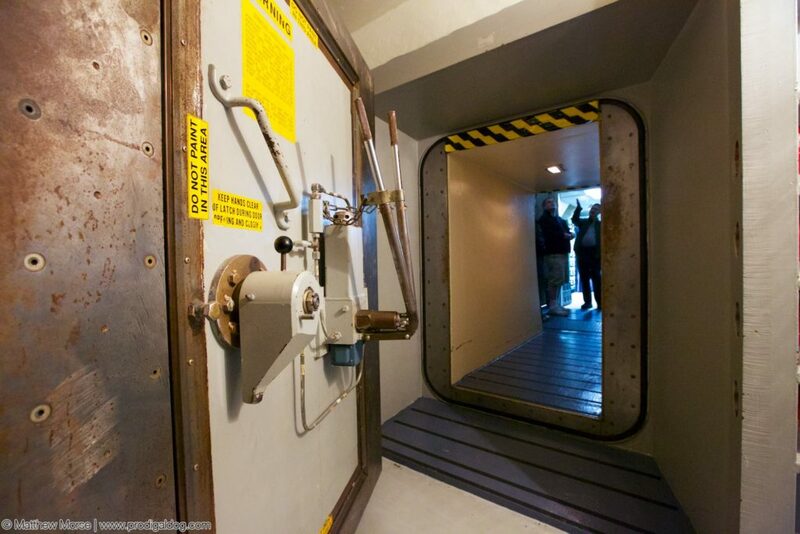 This facility was continuously manned (or “on alert”) for nearly 30 years throughout the Cold War. 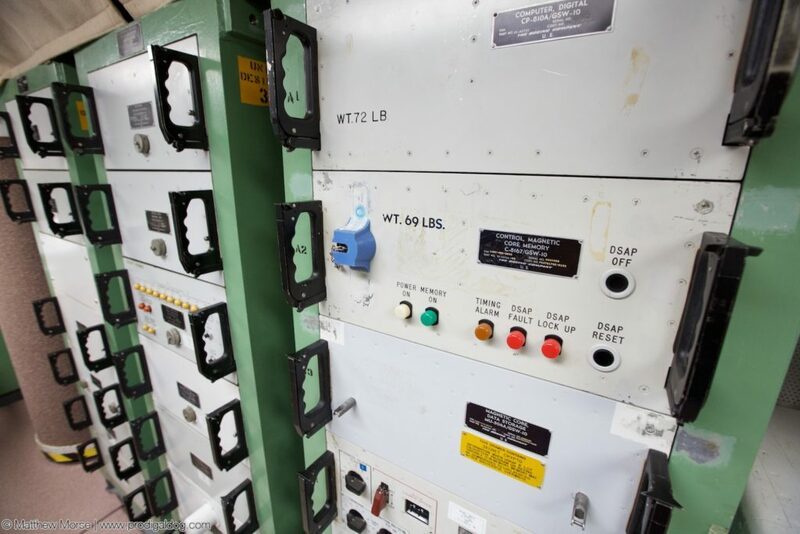 The launch-control center at Minuteman Missile Historic Site was responsible for 10 Minuteman II missiles, each of which was located several miles away in the surrounding countryside. The center consisted of an above-ground building that included a kitchen, dormitory, and living area, along with the underground control bunker. Photo taken at one end of the control room — the entire space was about the size of an RV. And, true to lore, two missile keys must be simultaneously turned from opposite ends of the room — too far for one person to do alone. 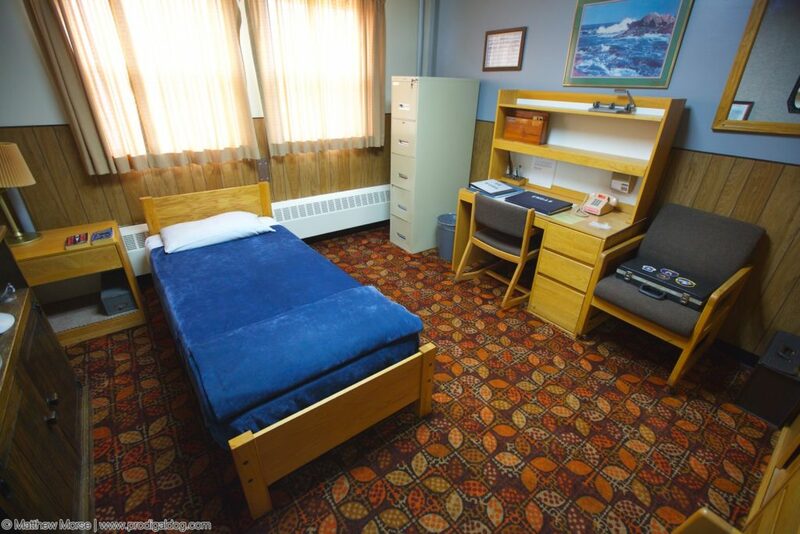 The bunker itself is about the size of an RV, and included a toilet, bunk, and two chairs. Each crew consisted of two officers and a “two man” rule was always in effect — no one was to be left alone inside the control room. To enter the control room, you’d take an elevator down several stories underground, then enter through a large blast door that looks like it’s out of a Hollywood movie. 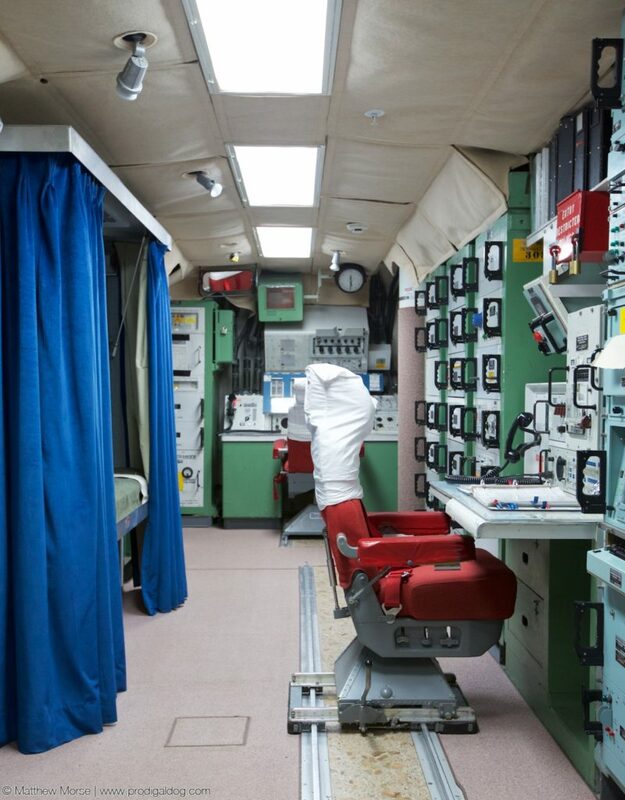 Each bunker was suspended on massive springs and shock absorbers; if an enemy nuke hit nearby, the Air Force wanted those computers (and people) safe and sound enough to complete a launch. Above-ground sleeping facility for above-ground crew or officers off-duty. 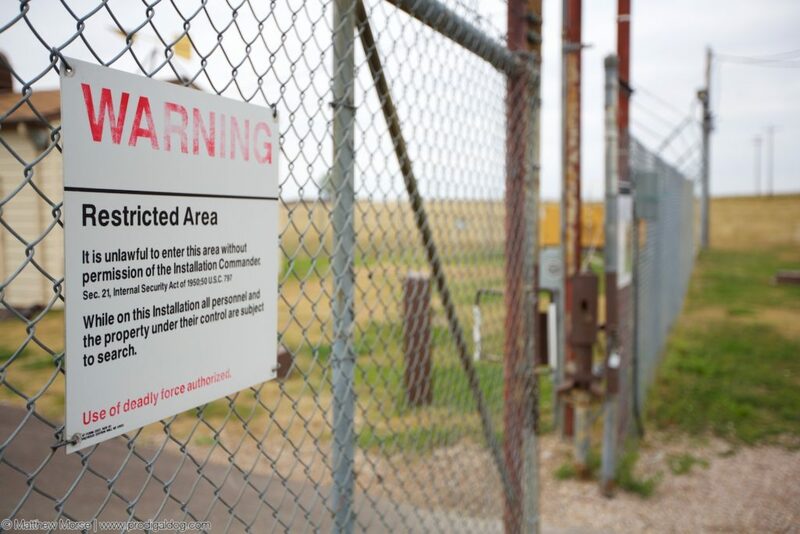 The Minuteman Missile Historic Site is above an hour from Ellsworth Air Force Base, and — as you can imagine, — South Dakota winters get cold and hazardous. As a result, many of these missile crews found themselves pulling double shifts when winter conditions closed roads and kept their relief crew from getting to them. It really makes you appreciate the service and hard work these men and women put in. If you’re interested in the history of the U.S. nuclear program, I can’t recommend the book Command and Control highly enough! It’s an excellent book from the same author as Fast Food Nation. 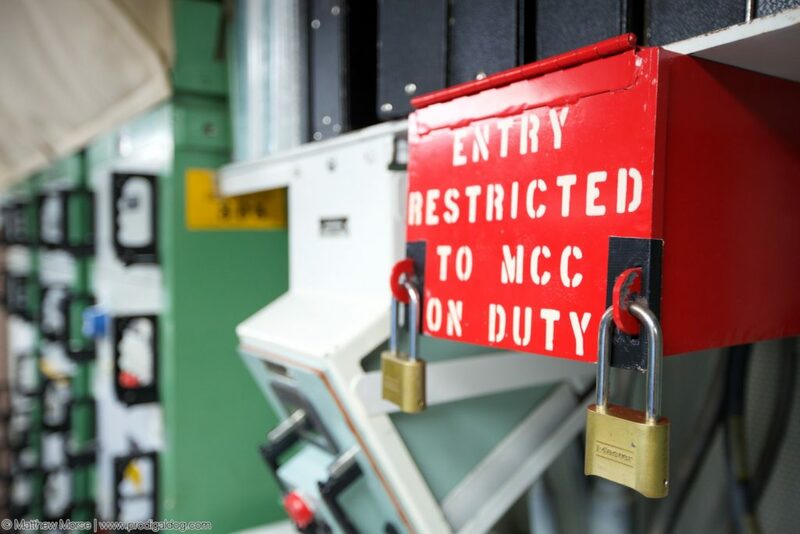 As far as I know, this site is only one of two places in the U.S. where you can tour a decommissioned nuclear control facility and, as a matter of fact, I recently toured the other one: Titan Missile Museum located in Tucson. Sign up for updates from The Prodigal Dog to be the first to know when that post goes live! 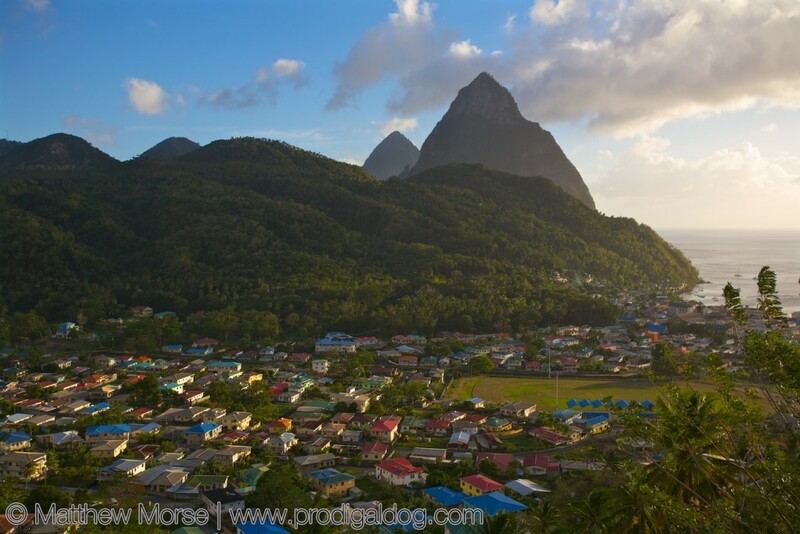 A mere 240 miles from the coast of South America sits an amazing island country with two iconic peaks, and St. Lucia’s pitons are sure to impress. 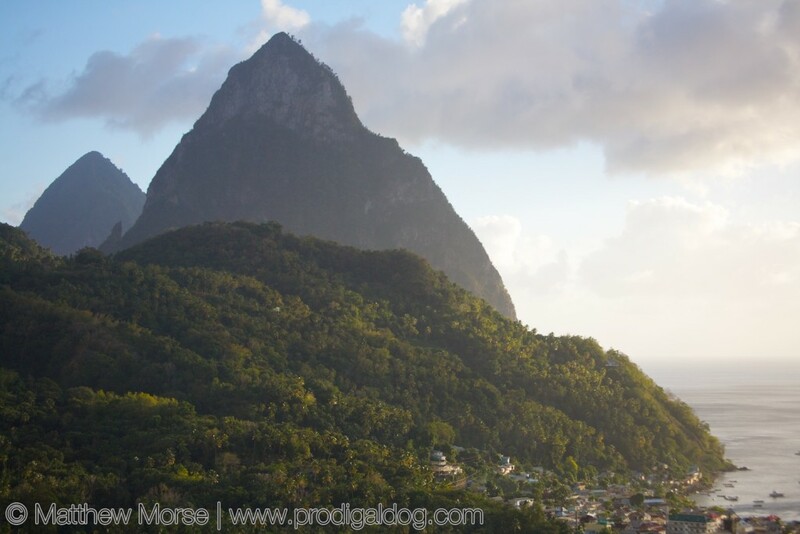 St. Lucia’s pitons, which are technically volcanic spires, are located right along the coast, just past the town of Soufrière, and are open for climbing. A short drive along the east coast of the island will afford plenty of opportunities to see St. Lucia’s pitons, and I highly recommend picking a hill-side spot and catching a sunset hitting the pitons, hills, and ocean all at once. If you’re feeling particularly flush, there are several resorts with prime real estate between the Pitons, so you can enjoy them from the comfort of a pool or on your deck, although I did not fall in this category! 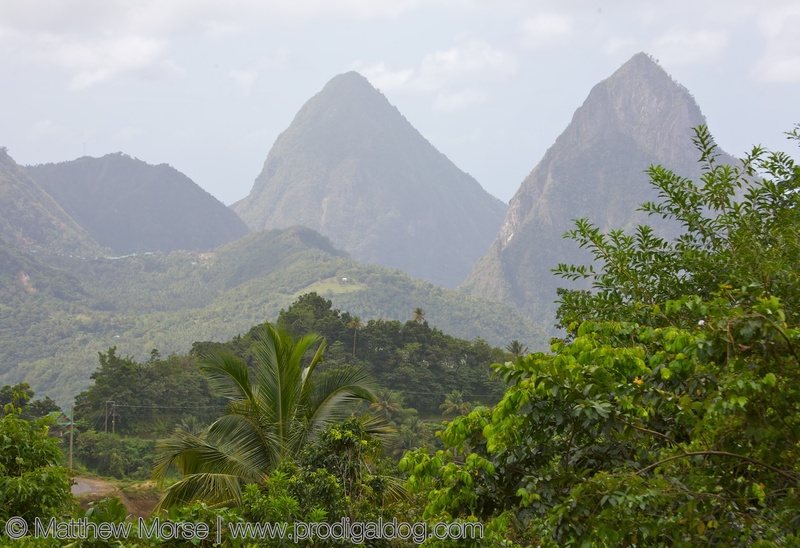 Those seeking to climb St. Lucia’s Pitons should know that they are known as Gros Piton (2,530 ft) and Petit Piton (2,438 ft). Don’t let the names or heights fool you, though. 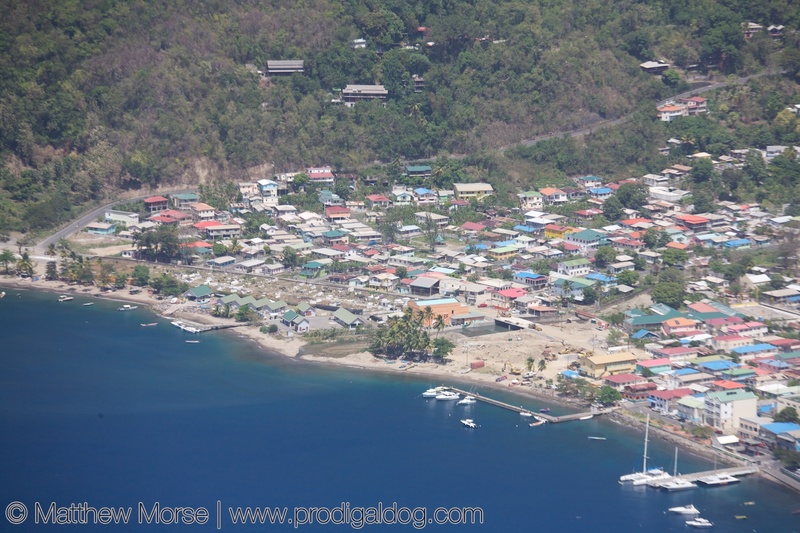 Petit Piton is actually the more challenging climb, despite being shorter. This is due to Petit Peton being narrower and, therefore, steeper, requiring some technical scrambling using hands, feet, and — sometimes — ropes and other equipment that are already present on the trail. Those who know me won’t be surprised to hear I opted for Petit Piton! I highly recommend hiring a guide to climb St. Lucia’s pitons, and usually a guide will find you before you can find them. It’s a small, friendly island, where nearly everyone knows someone who freelances as a guide when available. 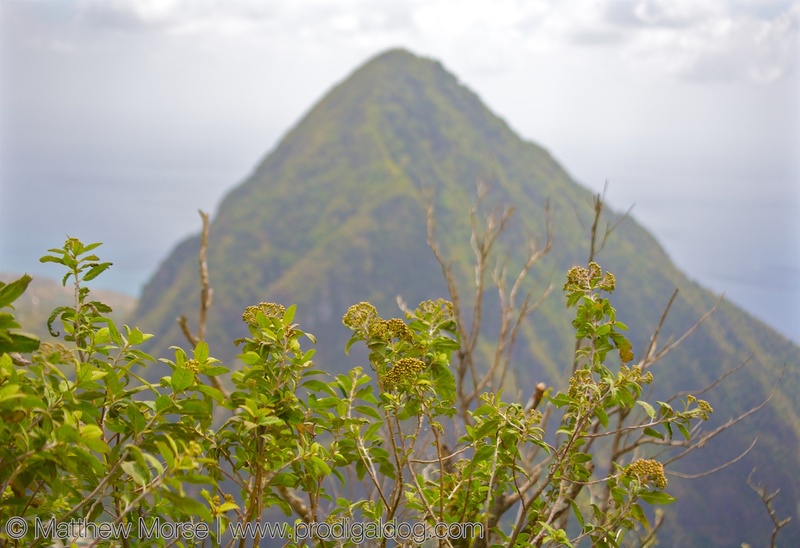 As soon as you mention you’d like to climb one of St. Lucia’s pitons, you’ll likely to get a flurry of references and recommendations. In addition to helping you get yourself, and your equipment, up the piton while staying on the trail, it’s also good for the local economy. Our guide told us that many younger men are tempted by less-desirable (and less-legal) industries due to high unemployment, so keeping them employed as guides is a win-win for everyone. 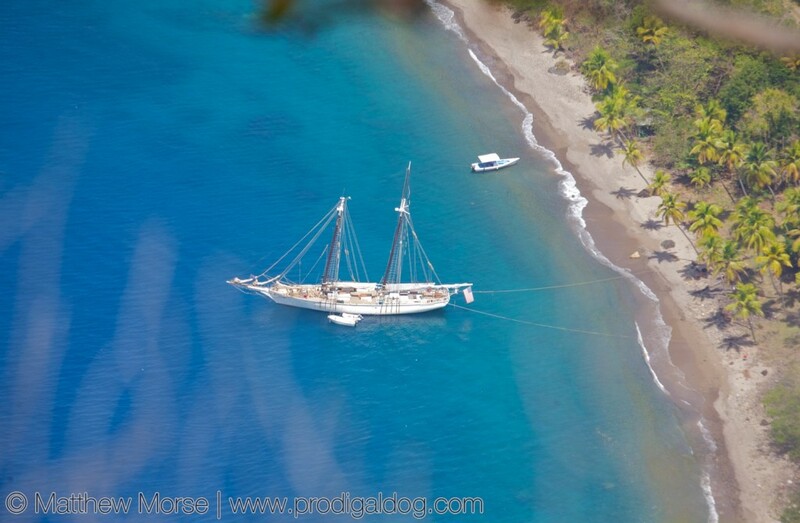 Once atop one of Saint Lucia’s pitons, you have a great, bird’s eye view of the surrounding area. The round trip doesn’t take long, either — at least not as long as you’d think looking up at the looming peaks. As a result, you can hit the peak one part of the day and have plenty of time left for other exploring or lounging on the beach. In the last few days of summer, I thought it would be appropriate to discuss something perfect for the summer months: visiting Alaska glaciers! Giant sheets of ice may not be your idea of a relaxing summer, but read on and maybe you’ll have second thoughts. 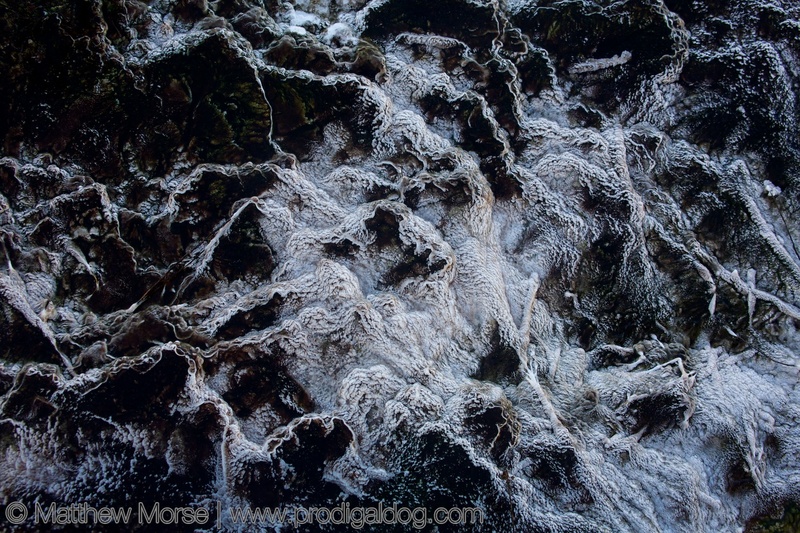 Many people wonder why the heck a glacier would be interesting in the first place. My best answer to that is that they are far more impressive and awe-inspiring in person than you think they’ll be. Some of the larger glaciers dwarf a cruise ship and stretch on beyond the horizon for miles, and when they calve (when a chunk breaks off), it sounds like a clap of thunder. Although there are, of course, glaciers in many places around the world (and North America), I’d argue that Alaska glaciers prove the most interesting and accessible for those living in the U.S. 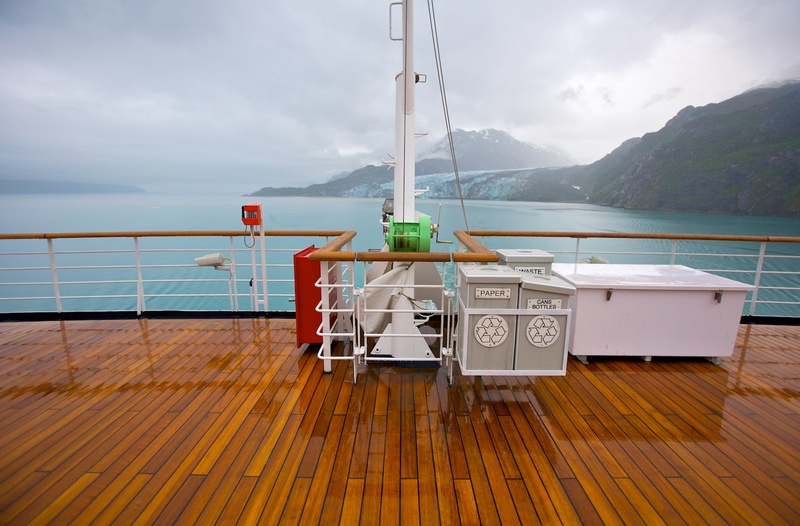 Many visitors to Alaska (myself included) experience it first by going on a cruise with a set itinerary. 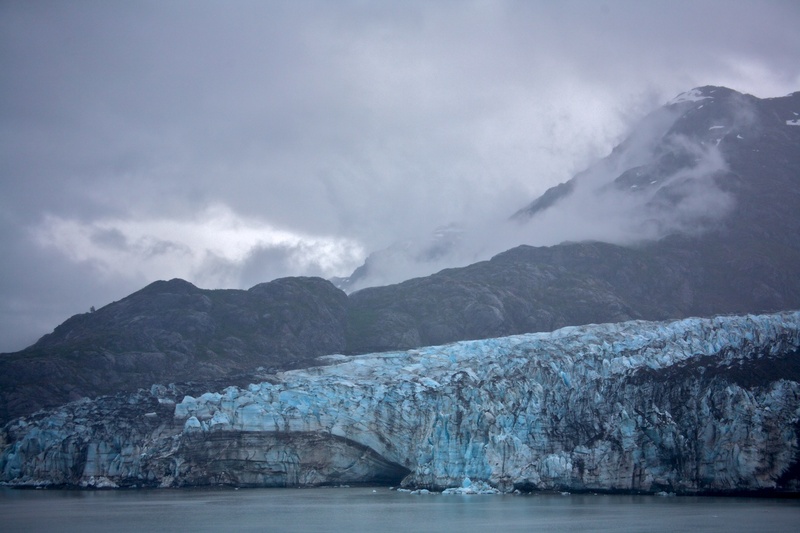 That may sound inflexible, but there are still several opportunities to see glaciers — almost every cruise itinerary includes Juneau and Glacier Bay. 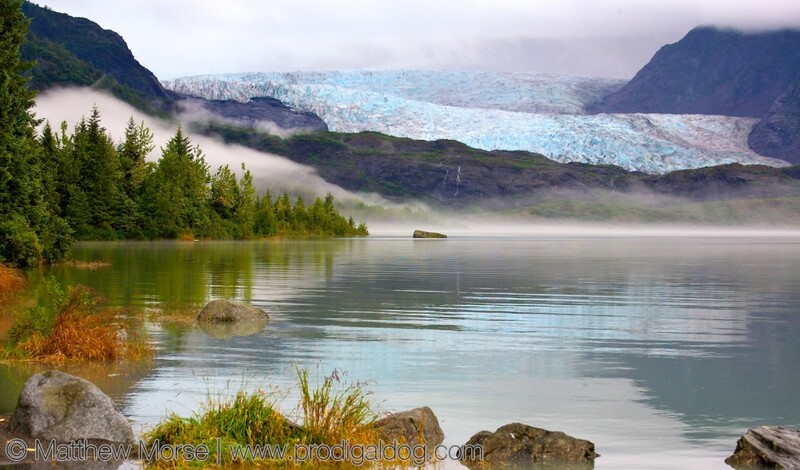 In Juneau, the Mendenhall Glacier is about a 10 minute drive from downtown. In addition to being an impressive glacier, it’s setting is absolutely beautiful; it’s on a scenic lake surrounded by landscape that’s protected as a national forrest. Most cruise operators will require you to pay for an excursion to see the glacier, or you can simply hire a cab to go solo. In our case, my friends and I booked a bicycle tour that included Mendenhall and ended in a beer tasting. Our coconspirator Tom even saw a bear near the glacier… Nature. Biking. Glaciers. Bears. Beer. What more do you want? Glacier Bay is a different beast, as there are no places to dock. 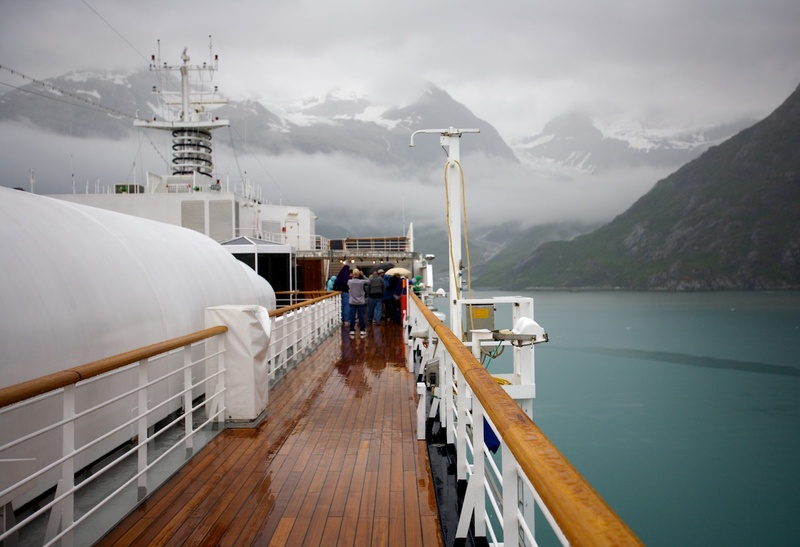 For that reason, most cruise operators will spend an afternoon circling the bay, allowing for plenty of opportunities to see the glaciers from aboard the ship. If you’re arriving by land, there are ways to see the glaciers on foot, as well. 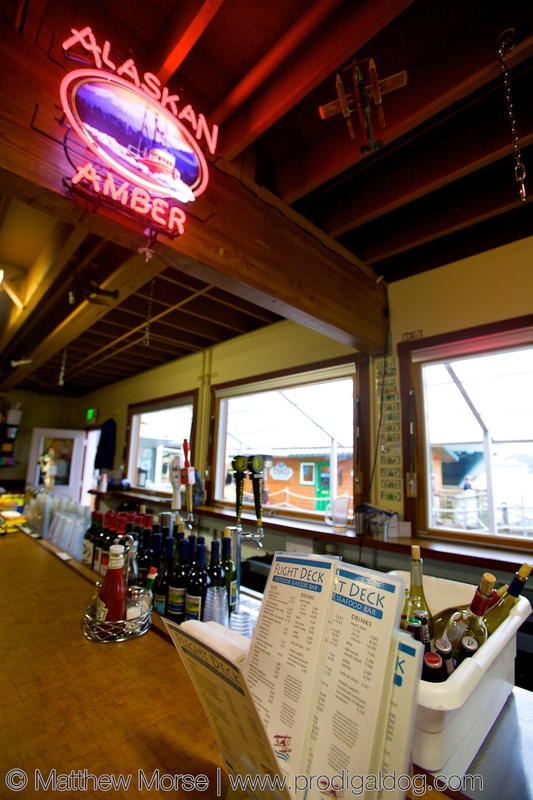 Day trips to the Bay are also available from a few cities in southern Alaska. These are just two of the many Alaska glaciers you can see. 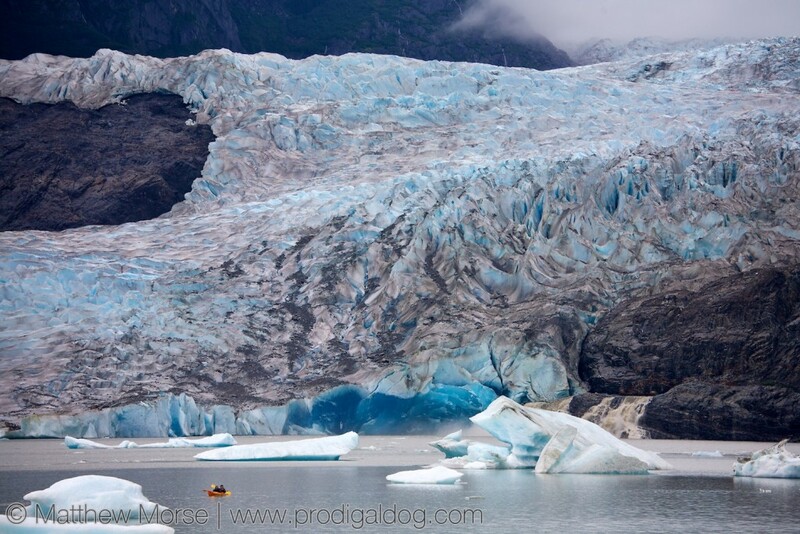 If you’re off the beaten path, I also recommend the LeConte Glacier near Petersburg, Alaska. I haven’t been, but I’ve heard great things. 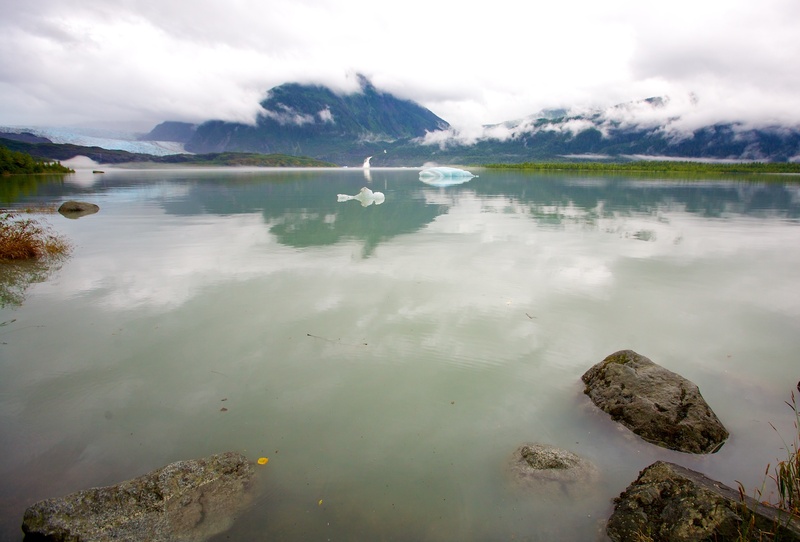 If you’re interested in a trip to see Alaskan glaciers, the best time is during summer months, as you’ll have the best weather and longer days, plus most operators shut down as the tourist season ends around September. 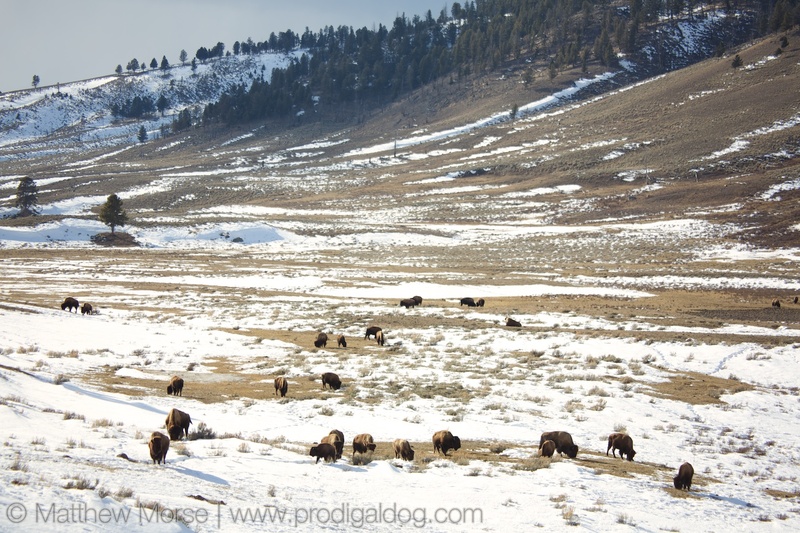 For today’s post, I’m going to bring it back a little closer to home for those of us in the US and talk about visiting Yellowstone by car in winter. One of my favorite things anywhere are national parks, so expect this to be the first of many. My favorite things also include giant underground supervolcanos and pre-historic-looking creatures, so Yellowstone has my bases covered. Yellowstone is a fairly common destination, but few people know that you can visit Yellowstone by car in winter. Indeed, the north and northeast entrances to the park are both open during the winter, as well as the road connecting them. Note that this area does not include Old Faithful. If you want to see it, you’ll need to go via snow coach. The park also allows a limited number of snow mobiles via other entrances, if you want to try your luck there. Although Old Faithful is out, there are still plenty of thermal features to be seen when visiting Yellowstone by car in winter. 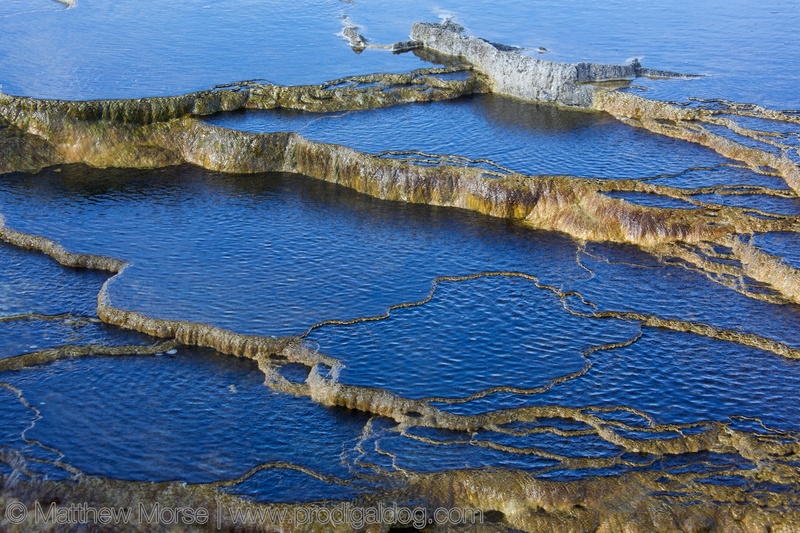 Far better photographers have taken far better photos of Yellowstone, so I’ll try to include a few more unique views in here that you may not have seen before, including these up-close shots taken at Mammoth. What many don’t know is that the thermal features are driven by an underground supervolcano that lies deep beneath the park and spans about 45 miles on its longest measurement. 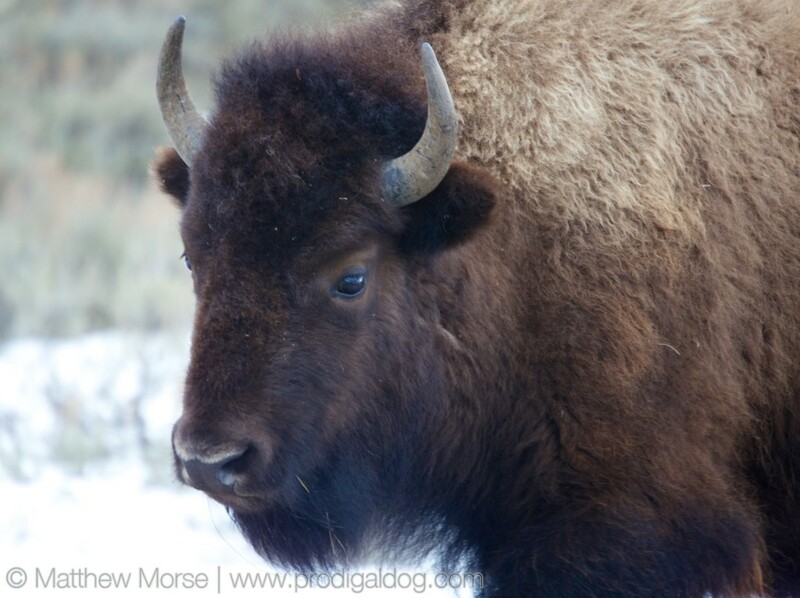 Another iconic feature of Yellowstone is, of course, its bison. You’re virtually guaranteed to see at least a few during your time there, and watching them move gracefully through the snow just adds to the experience. 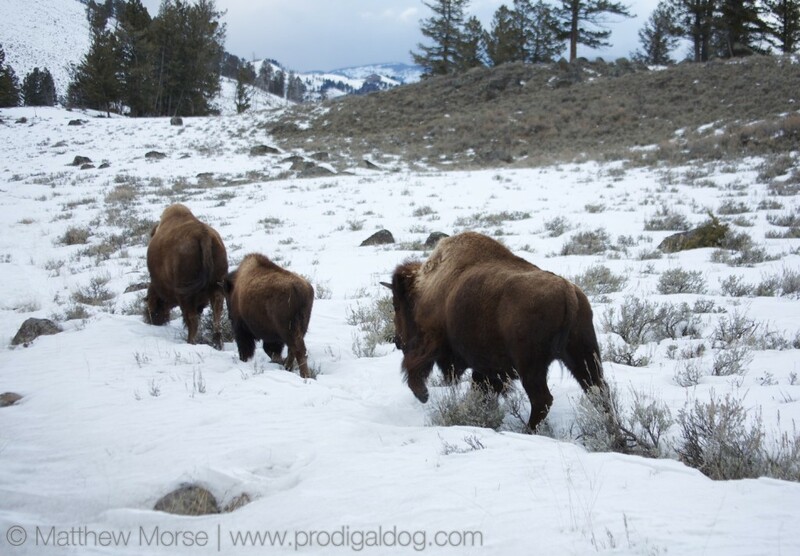 If you do decide to visit Yellowstone in winter by car, then be sure to plan your trip well. Call the park before you go or check their website on visiting Yellowstone in winter to ensure you have a full picture of what roads are open. As the world’s first national park, this is place a must see for every outdoor enthusiast. Although summers are beautiful, visiting Yellowstone by car in winter is an experience unto itself. 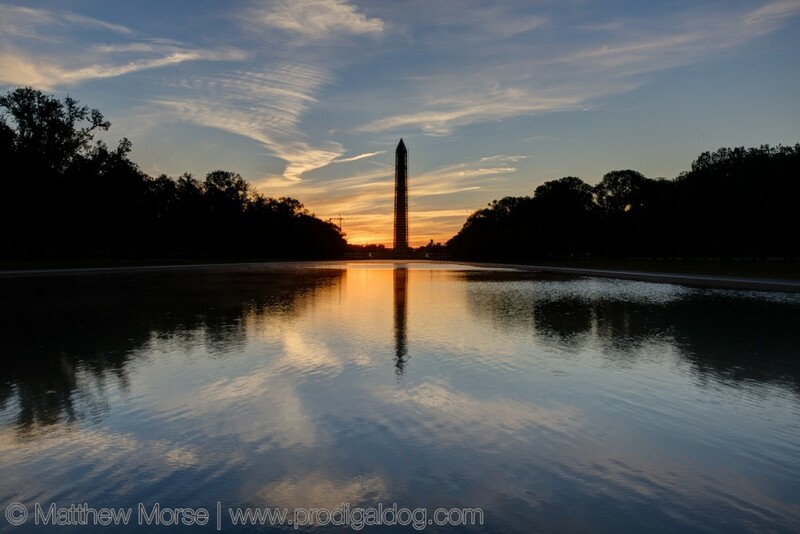 Reflecting back on the past week’s festivities with the 4th of July, today’s post will focus on something much closer to home for those in the U.S.: a National Mall sunrise. 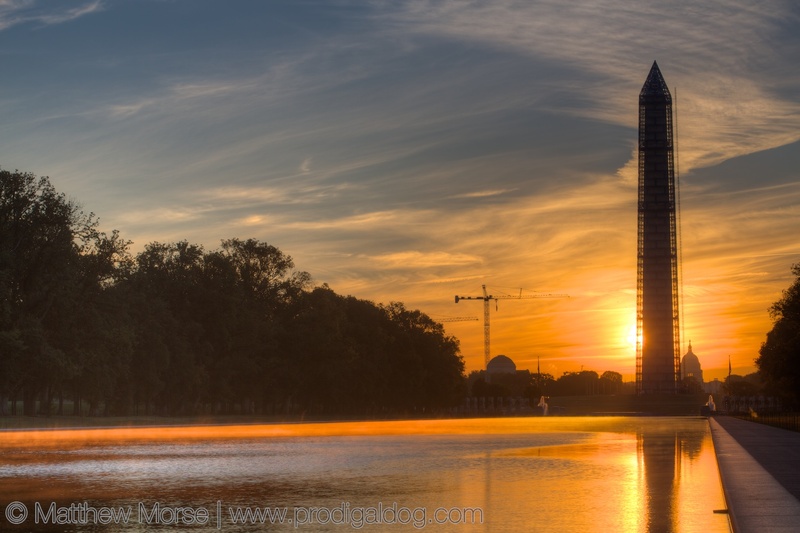 To be more precise, this sunrise on the National Mall happened a couple of years ago, back when the Washington Monument was covered in scaffolding (which I’ll discuss later). On this particular day, I setup shop on the western end of the Mall, near the Lincoln Memorial, on the edge of the reflecting pool. 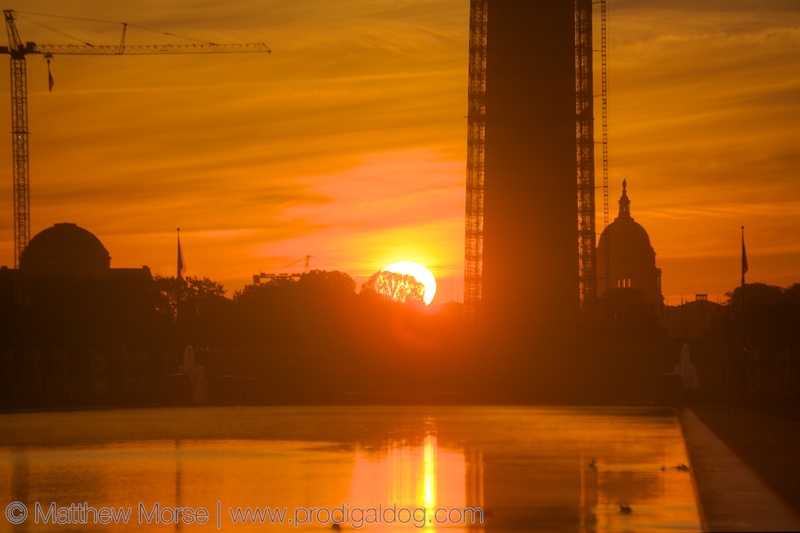 This allowed me to get the sunrise framed by the Capital as well as the Washington Monument. As a stroke of dumb luck, it also happened to be a beautiful sky. The National Mall is under the purview of the National Park Service, and is routinely patrolled by park rangers. Even with expensive camera equipment in a dark, deserted part of a major city, I never felt unsafe. That said, use your better judgement as you would anywhere. Parking is abundant around the Mall. Although it fills up quickly during the day, you shouldn’t have any issues if arriving at or before sunrise. 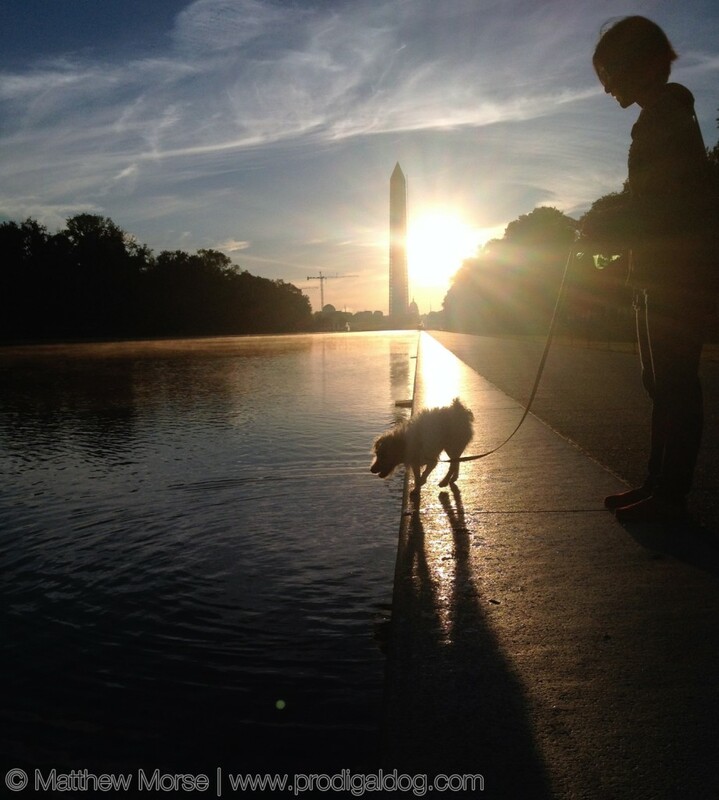 Dogs are allowed and will almost certainly try to chase the ducks in the reflecting pool. 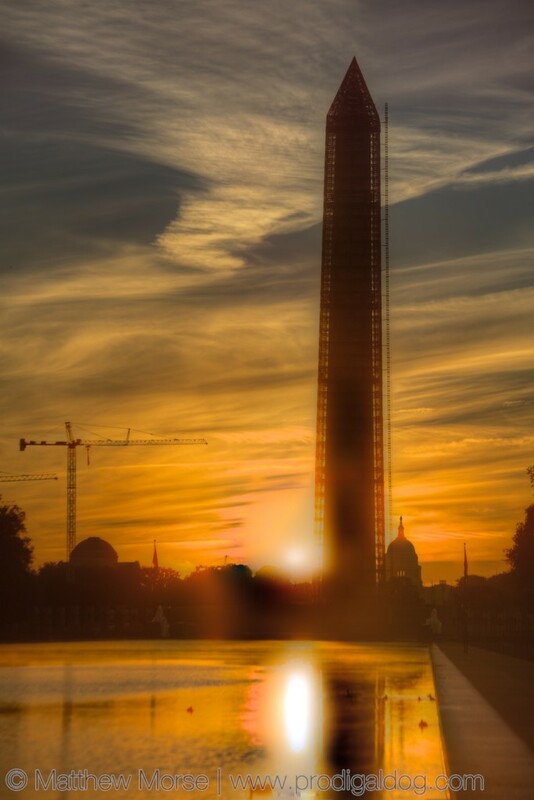 As you’ll see here, scaffolding covered the Washington Monument — this was part of a repair process in the aftermath of an earthquake that hit DC a few years ago. Personally, I liked the look of the scaffolding, thanks to the brick-like design they adopted for it. If you do too, then there is also another set of scaffolding currently covering the Capital dome, and it’ll be there awhile longer. 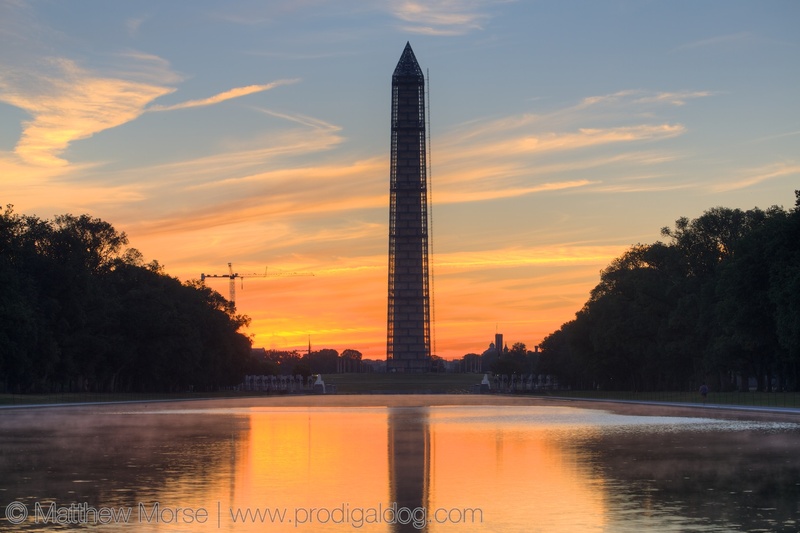 If you’re planning to make a day your National Mall sunrise, I suggest you also look into going up to the top of the Washington Monument. If you’re on the Mall for sunrise, you should have enough time to pick up a coffee or quick breakfast (depending on the season and when the sun rises), then come back to pickup tickets, which are given away for free. I’ll write about that experience in a separate post. 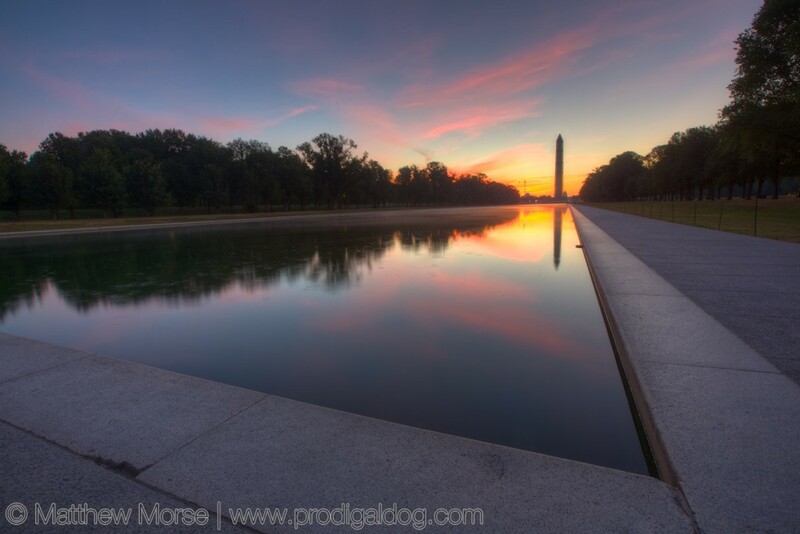 There are, of course, many other sights to be seen at sunrise on the National Mall and the surrounding area, including the Vietnam, Korean, MLK, and World War II memorials, which are all within walking distance.